The Barcelona City Council will set aside 750,000 euros for the rehabilitation of the Modernista architectural complex of the Hospital de Sant Pau i Santa Creu, according to an announcement by the acting mayor Ramon Garcia-Bragado during his visit to the hospital on 18 August this year. This amount will be channelled through the Institut del Paisatge Urbà i la Qualitat de Vida and, accordingly, an agreement was signed last July between the hospital director, Carles Martí, and the president of the Institut del Paisatge Urbà, Ramon Garcia-Bragado. This agreement represents a new collaborative impetus between the City Council and the Hospital de Sant Pau, which will culminate in a future Modernisme Centre to coordinate the information programmes concerning this architectural style and the services and activities of the Barcelona Modernisme Route and Art Nouveau European Route. The Centre will be located in the foyer of the management pavilion once the rehabilitation work has been completed, scheduled for 2012. During the reconstruction period of this pavilion, an exhibition space will be set up in the Santa Apol·lònia pavilion to display the architectural and historical trajectory of this Modernista complex, built under the direction of Lluís Domènech i Montaner between 1902 and 1926 and added to the UNESCO World Heritage List in 1997. The guided tours of the architectural complex and the information centre managed by the Institut del Paisatge Urbà i la Qualitat de Vida since 2006 will remain in operation throughout the time the work continues. The reconstruction work of this historical architectural complex has been divided into two stages. The first is forecast to end in 2013 and the second in 2016. Additional reconstruction work to that already begun, such as the reconstruction of the cupola on the Mercè pavilion and the reinforcement of façade elements, will also be carried out on the pavilions currently housing surgery, the intensive care unit and emergency services once these have been moved. The Hospital de Sant Pau private foundation aims to convert this historic complex into a reference centre by 2013, thus contributing to consolidate Barcelona as a Mediterranean capital. Sant Pau will welcome international bodies, with special attention being paid to those relating to the Mediterranean region. An agreement has also been reached to create the United Nations International Institute, known as the UN University. There are also negotiations being carried out with health, financial and social network bodies whose fields of action lie within the Mediterranean area. Coinciding with the incorporation of the city of Girona and the Fundació Rafael Masó into the Art Nouveau European Route, the foundation and the Girona City Council have published an accompanying guide for the Rafael Masó Route: Modernisme and Noucentisme. With texts by Jordi Falgàs and photographs by Jordi Puig, the publication helps visitors to take their own tour of the architecture of Rafael Masó in the city of Girona. The route begins at the house in which the architect was born and includes the twelve most representative buildings that Masó designed in his birthplace city between 1908 and 1932. The façade of the Casa Amatller, located in Barcelona's so-called "Mansana de la Discòrdia" (Block of Discord), on Passeig de Gràcia, has been returned to its original state after 18 months of restoration work. 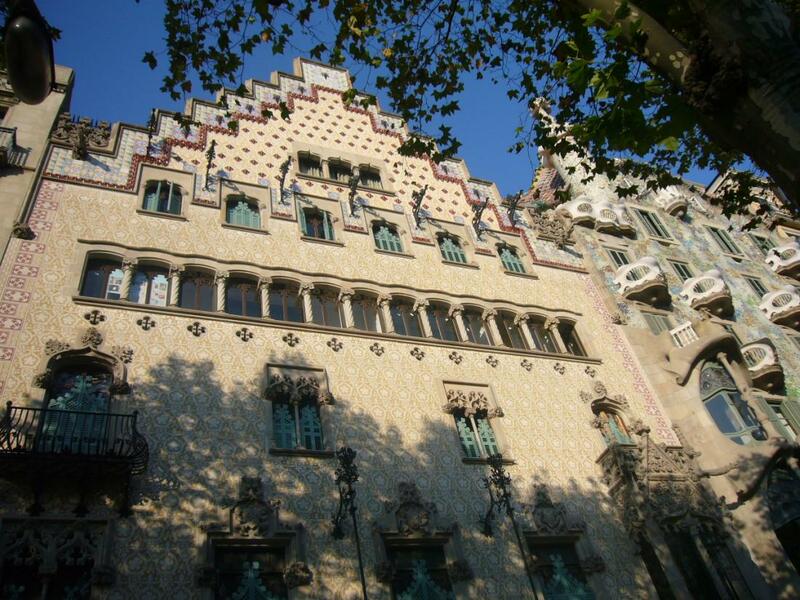 This has been the first stage of a more ambitious project that involves converting this emblematic Modernista building, renovated by Josep Puig i Cadafalch in 1898 as part of a commission from the chocolate manufacturer Antoni Amatller, into an information centre on Modernisme and its historical context. The respectful restoration work on the façade has been focused on its glazed tiles, stone, sgraffito, iron and wooden elements, with original pieces having been repaired, cleaned, reinforced, reproduced or replaced. The façade's delightful series of sculptures, which are full of references to Antoni Amatller's name, professional activity and hobbies (photography, fine arts, music and travel), as well as Catalan symbols and traditions, are once again gleaming in all their splendour. The second stage of the project will consist of adapting the building's second floor in order to move the library and photo collection of the Amatller Institute of Hispanic Art. This will allow for rehabilitation work on the Casa Amatller's "noble" first floor. Once this has been completed, the original furniture and decoration can be reinstalled thanks to documentation that still exists today and photographs taken by Mr. Amatller. According to Santiago Alcolea, the director of the Amatller Institute of Hispanic Art, which is the current owner of the building, the Modernisme information centre will be able to welcome visitors once the work is completed in 2012. 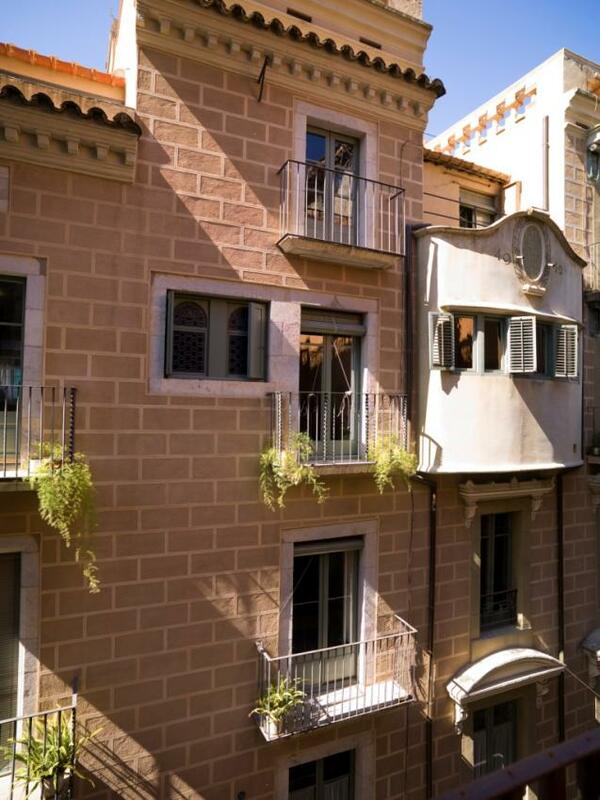 The rehabilitation of the entire building is possible thanks to the collaboration of the Barcelona City Council, Catalan Generalitat Government, Caja Madrid Foundation and Amatller Institute of Hispanic Art. A must for lovers of Art Nouveau architecture and culture is this charming festival, which is celebrated in Bad Nauheim in September every year. 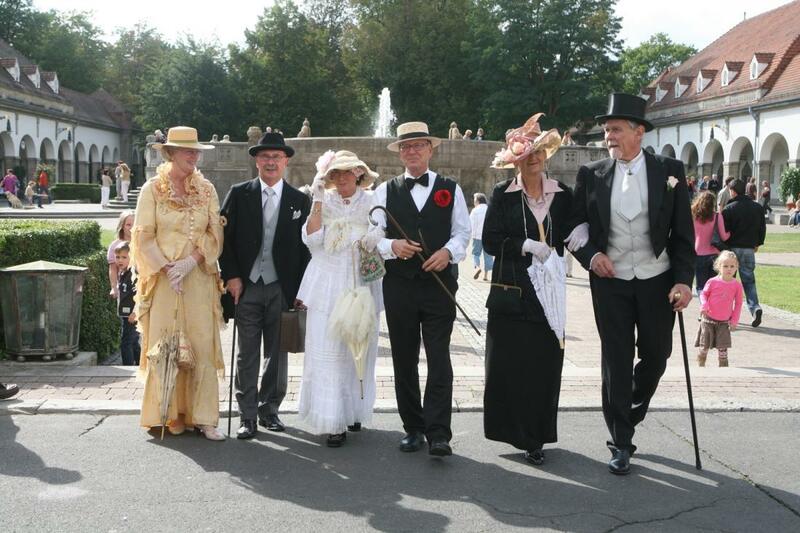 The 2009 is themed "Jugendstil moves Bad Nauheim" and will take place from 5-13 September 2009. Art Nouveau lovers will enjoy strolling through the handicrafts market on the second weekend of the festival. Relaxing in the unique atmosphere of the Sprudelhof, they can admire examples of stucco, ceramic, glass, wood, embroidery and jewellery work. On Saturday 5 September, an historic rowing regatta will reflect the social life and sporting spirit of that historic era, with visitors dressed in period clothing. Many other events will also take place during the entire festival, such as musical performances, exhibitions, lectures and guided tours of Art Nouveau buildings. Festival partner city this year is Barcelona, which is also a member of the Réseau Art Nouveau Network, and a delegation from the city will be joining the opening ceremony and will bring along top class speakers to talk about Modernisme in Barcelona.